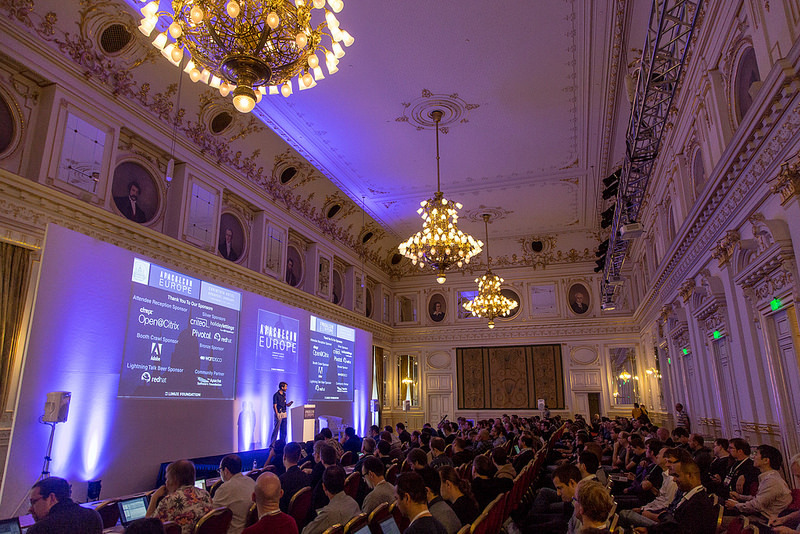 After a very exciting week in Budapest, ApacheCon Europe 2014 is over and it is time to travel back home and digest all the interesting stuff we have seen for MICO. ApacheCon brings together the open source community to learn about and collaborate on the technologies and projects driving the future of open source, big data and cloud computing. Apache projects have and continue to be hugely influential in the innovation and development of software development across a plethora of categories from content, databases and servers, to big data, cloud, mobile and virtual machine. The developers, programmers, committers and users driving this innovation and utilizing these tools met in Budapest, for collaboration, education and community building. 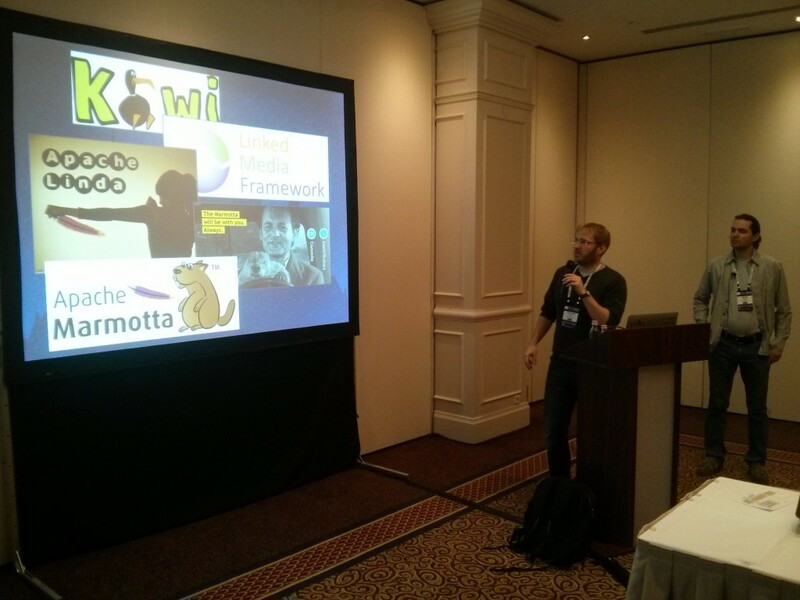 This edition has had a dedicated Linked Data track, where MICO has been represented by two talks: First Thomas Kurz and Jakob Frank (Salzburg Research) presented how to use Apache Marmotta for Multimedia Management. And second, Sergio Fernández (Salzburg Research) presented the initiative to provide a Commons RDF Java library. In addition, Antonio Pérez (Zaizi) explained their approach for doing Multi Language Content Discovery Through Entity-Driven Search using Apache Solr and some other Apache projects, and Rupert Westenthaler (Salzburg Research) presented the Open Annotation support for Apache Stanbol the Fusepool P3 project is developing. 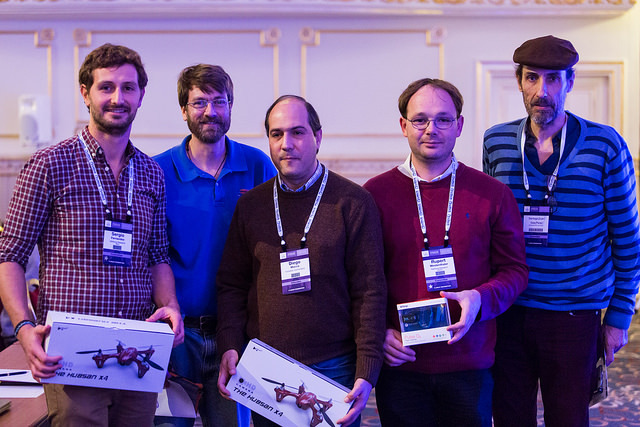 You can find many more photos at the official photo stream provided by the Linux Foundation.